Following on the heels of “Lanark County Kid”, Stafford-Wilson beckons you back once again to the family farm on the Third Line of Bathurst Township in the 1960s and 1970s. She invites you to come along on her adventures in Perth, Almonte, Smiths Falls, and the Rideau Lakes to name a few. Spend the day with her at the Maberly Fair or come along for an evening in Newboro. Join the cattle drive through Ferguson Falls and stay up all night at the movies in Port Elmsley. Travel back with her to a simpler, more innocent time, observe life through the eyes of a rural kid and relive the days gone by in Eastern Ontario. 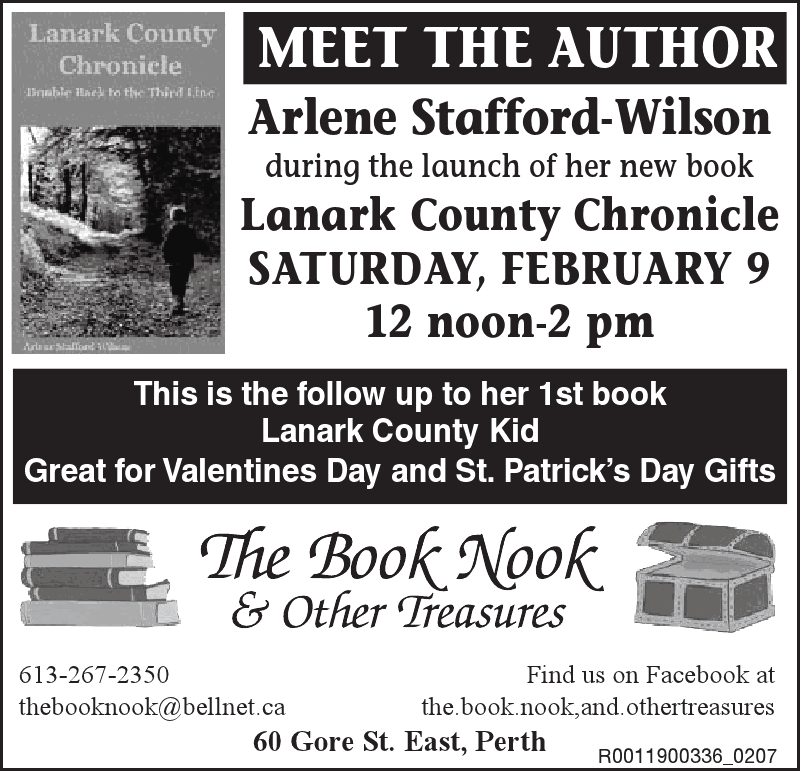 This entry was posted in Author Events & Book Signings and tagged Arlene Stafford-Wilson, Lanark County books, Lanark County Chronicle Book Launch, The Book Nook Perth Ontario.